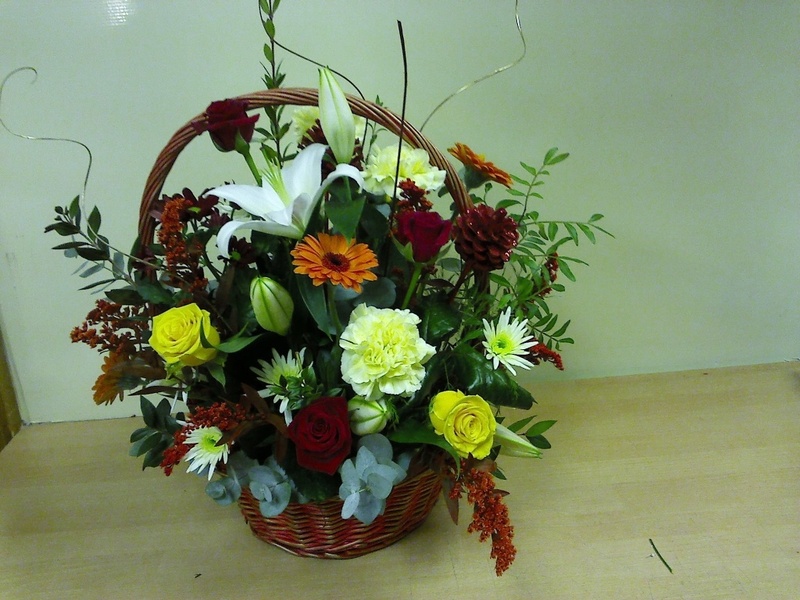 Luxury wicker flower basket arrangement of seasonal cut flowers arranged in oasis. This is a lovely gift for a birthday or anniversary and will be well admired by anyone who receives it. This luxury flower arrangement can be made in different sizes and colours. This luxury flower basket is one of our most popular items.